Swedish Rococo Period Vitrine Cabinet | Maison & Co.
A stunning Swedish Rococo period vitrine with original hand-blown glass. 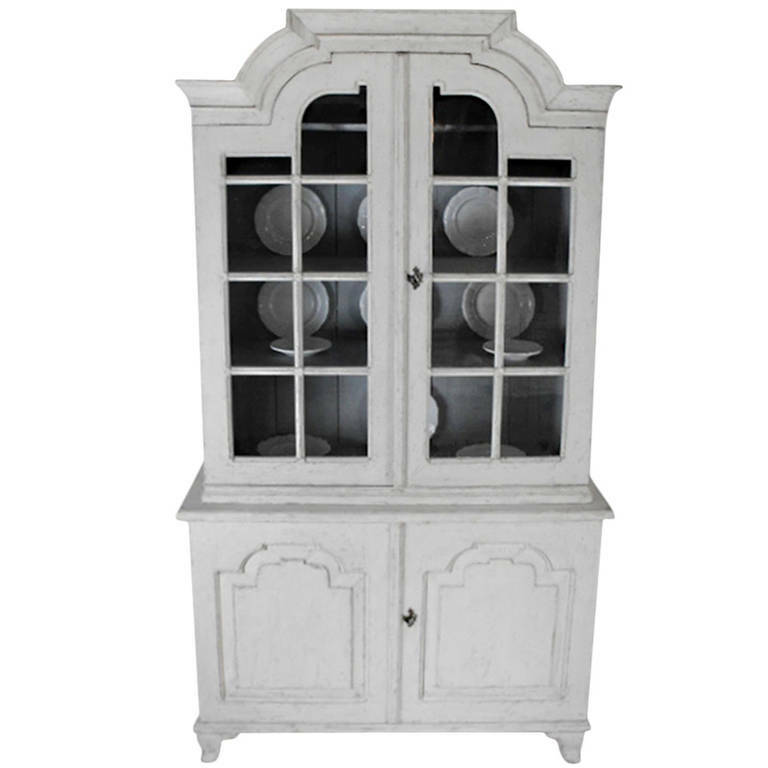 This beautiful glazed vitrine with arched pediment cornice features four internal shelves. This piece is a Maison & Co. favorite - it is truly special. Circa 1770.